Items marked with ** are flammable, and can only ship by UPS. These items can only be shipped to UPS approved countries. A delicious berry note to be added to your concentrate to enhance berry flavor aspects! 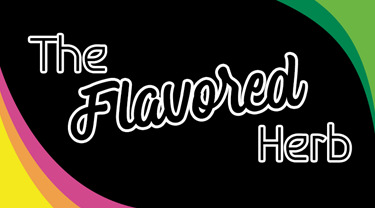 Used to "mask" unpleasant flavors. Works best when combined with our Masking Flavor but can be used on its own if that's what works best for you! A fresh yummy blueberry note to be added to your concentrate to enhance blueberry flavor aspects! A refreshing citrus note to be added to your concentrate to enhance citrus flavor aspects! A sharp diesel note to be added to your concentrate to enhance diesel flavor aspects! A lush earthy note to be added to your concentrate to enhance earthy flavor aspects! A bright flowery note to be added to your concentrate to enhance flowery flavor aspects! A juicy grape note to be added to your concentrate to enhance grape flavor aspects! A dense herb note to be added to your concentrate to enhance herb flavor aspects! A soothing herbal note to be added to your concentrate to enhance the herbal flavor aspects! A fresh lavender note to be added to your concentrate to enhance lavender aspects! A bright and citrusy lemon note to be added to your concentrate to enhance lemon aspects! A fresh lime note to be added to your concentrate to enhance lime aspects! A tropical mango note to be added to your concentrate to enhance mango flavor aspects! Used to "mask" unpleasant flavors. Works best when combined with our Bitter Blocker Flavor but can be used on its own if that's what works best for you! Ingredients: Natural Flavoring, Ethanol, Glycerine. A bright minty note to be added to your concentrate to enhance mint aspects! A smooth nutty note to be added to your concentrate to enhance nut aspects! A clean pine note to be added to your concentrate to enhance pine flavor aspects! A fresh rose note to be added to your concentrate to enhance rose aspects! A pungent skunky note to be added to your concentrate to enhance skunky aspects! A bright strawberry note to be added to your concentrate to enhance strawberry aspects! A soothing tea note to be added to your concentrate to enhance tea flavor aspects!